Become a Member Today! 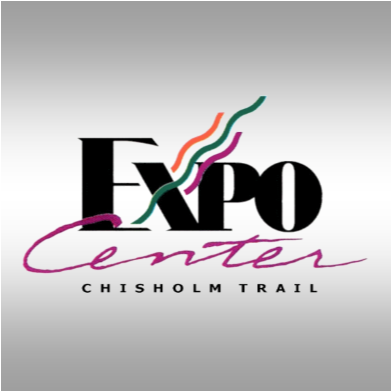 - WELCOME TO THE CHISHOLM TRAIL EXPO CENTER! Become a Chisholm Trail Expo Center VIP Member Today! ​We are excited to invite you to register with our website and become a VIP Member today! Just click on the LOGIN/REGISTER link at the top right of our website. You will provide your name and email address. You will be asked to create your own password. Early notification of events, concerts, and more! We will not use your email address to send marketing or advertising materials and communications. By becoming a member, you have determined that you would like access to the benefits, information, or pages within this site, that are restricted to our registered members. We will not share specific membership information with anyone outside the Chisholm Trail Expo Center or Garfield County Fairgrounds Trust Authority. From time to time, we may share the total number of registered members with potential Partners or Event entities to show audience reach/demographics, but your name, email, and any other personally identifying information will always remain private. Should we launch outgoing marketing services at a later time, we will provide ample notification prior to implementing any outgoing marketing strategy, and allow registered members to opt-in or opt-out for any outgoing communications of any kind. If you have any issues, need to reset a password, or want us to help with your VIP Account in any way, please call us at 580-237-0238 or email us at brett@chisholmtrailexpo.com.